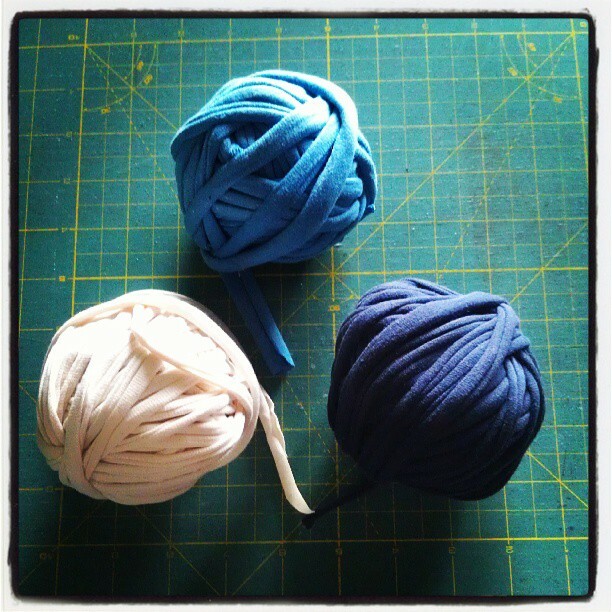 On Saturday I had a sudden urge to make some t-shirt yarn (as you do). I grabbed some of hubby’s old shirts and looked online for a tutorial, as I didn’t really know how to proceed. There’s lots of tutorials out there, I found this one from Dyani at Little Deer Creations very helpful. Being a quilter, I used a rotary cutter instead of scissors, and I had three balls of yarn before hubby discovered that his t-shirts had gone :-). 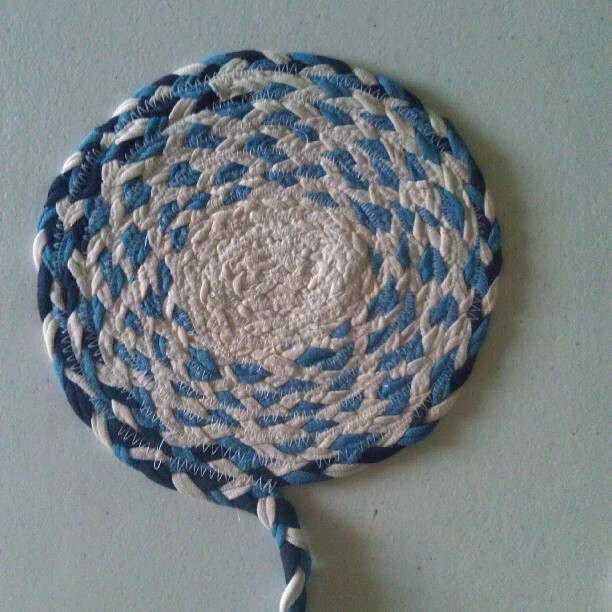 This entry was posted in Braided Rug, Sewing, T-shirt Rug, T-shirt Yarn, Upcycling and tagged braided rug, t-shirt yarn, upcycling on July 29, 2013 by bluejacarandadesign.